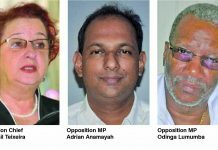 Chief Magistrate Ann McLennan has been temporarily barred from hearing the 19 charges brought against former People’s Progressive Party/Civic (PPP/C) Housing Minister Irfaan Ali by the Special Organised Crime Unit (SOCU) last November. Following appearances by the interested parties on Thursday, High Court Judge Franklyn Holder granted a stay of Magistrate’s Court proceedings regarding Ali’s application that challenges the legality of the charges proffered by SOCU. 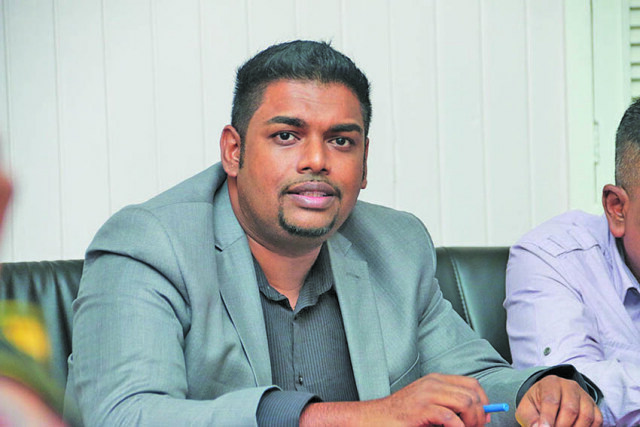 SOCU implicated Ali for conspiracy to defraud contrary to common law which relates to the sale of lands at Plantation Sparendaam, East Coast Demerara (ECD). 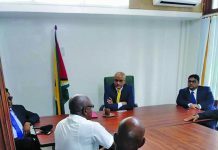 The respondents to Ali’s application are Police Commissioner Leslie James and Chief Magistrate Ann McLennan who are represented by the Attorney General Chambers while Prosecutor Tashanna Lake is representing the Director of Public Prosecutions (DPP)Shalimar Ali-Hack. State Counsel Leslyn Noble is appearing for Police Detective Corporal Munilall Persaud. 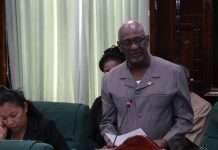 During Thursday’s in-chamber proceedings, Noble reportedly contended that the charges against Ali are known to law under Section Three of the Criminal Law Offence Act. 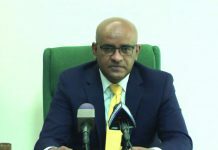 “We submitted that the applicant Irfaan Ali’s application is an abuse of process; it is premature as the application in itself has no merit,” Noble stated. The press was told the High Court found that the issues regarding particulars of the offence are “reasonable issues to be tried”. This is related to whether a valuation ought to be obtained before purchase of land. One of Ali’s lawyers, Anil Nandlall, who also appeared before Justice Holder, disputed the merit of Noble’s arguments, stating that there is no section of the law that criminalises the lack of a property valuation when selling a property. “One of our grounds is not that the charges are unknown to law, but the particulars, even if they are able to prove them, do not constitute an offence known to the criminal law of this country. Selling property without a valuation has never been a criminal offence,” Nandlall opined following proceedings. He further outlined that the DPP submitted a “sworn affidavit” saying that she did not advise on the charges which Nandlall views as an integral aspect of the case. In that affidavit, seen by this newspaper, Ali-Hack, while denying much of the applicant’s contentions in his writ, stated, among other things, that she did not advise on the charges, contending that the DPP “is not a proper party”. She outlined that being a co-owner of a house lot; she thought it best that no member of staff of the DPP’s office advise on the matter to prevent the appearance of bias. The FDA application will be heard on February 5. On February 6, the Magistrate will have to be informed of the High Court’s decision to stay the matter pending the outcome of the FDA case. In the writ filed by Ali, he posits that the charges are “irrational, arbitrary, capricious, whimsical, malicious, biased, without any proper evidential basis, made in bad faith, influenced by irrelevant and improper considerations and motives, unreasonable, discriminatory, unlawful, null, void and of no effect”. The application sought two orders of Certiorari – the first one quashing the decision of the DPP to charge him with the offence of Conspiracy to Defraud Contrary to Common Law and the second, to quash the oath of Corporal Persaud, given at the Georgetown Magistrates’ Courts regarding the 19 charges. The applicant is seeking to secure a declaration that the particulars of the charges do not constitute an offence known to law and contravene Section 144 (4) of the Constitution and the fact that there is no statutory or common law that requires a valuation prior to the sale of property. “I deny selling any lands to any persons. Moreover, assuming arguendo that the facts as alleged in the charges are true, which is denied, I have been informed by counsel and verily believe that the particulars as contained therein do not amount to any offence known to law, which even if proven, are impossible to yield a conviction for the offences charged,” an excerpt of the case file read.